It's the first May Bank Holiday this weekend, which can only mean one thing; Handmade Festival is upon us once more. Now in its sixth year having initially started back in 2013, the Leicester based festival once again boasts a stellar line up over its two days on Saturday 5 and Sunday 6 May. Spread across four different stages situated in the O2 Academy and Attenborough Arts Centre buildings, there's a true DIY ethos not only in their booking policy but also in their focus on local food and drink. The full line up can be found here, with some tickets still remaining here. DiS will be there over the course of the weekend, and here are the 10 acts we're most looking forward to seeing. London based four-piece that play deliciously skewered pop with elements of shoegaze and grunge thrown in. As festival openers go, it doesn't get much better than this. Hailing from Nottingham, this quartet take us back to the halcyon days of Sub Pop and Kill Rock Stars with a modern day twist. Ferociously intimidating live, miss them at your peril. You want pop songs bathed in grunge laden psychedelic overtones? This Nottingham based trio have them in abundance and more besides. Expect group hugs, wistful ambience and soaring choruses from a band who've been compared to Nils Frahm, Sigur Ros and 65daysofstatic in recent times. Last year's Atelo was one of 2017's finest debuts and with a follow up already on the horizon, don't be surprised to hear a new song or two this weekend. Very few bands can claim to have made as significant an impact as Idles last year. The Bristol five-piece put out another of 2017's finest debuts in Brutalism while their exhilarating live show won them a legion of new converts all over the globe. We first saw this capital based four-piece at last October's Ritual Union event in Oxford where their woozy, escapist melancholic pop reminded us of a fledgeling Howling Bells or Beach House. Chester's finest exponents of insatiable, fizzy indie-pop. Their teatime set on Saturday bears all the hallmarks of being one of the weekend's outstanding performances. These Detroit post-punks might have been latecomers in terms of getting their music heard in foreign territories but they've sure made up for lost time. Releasing three of the decade's finest albums in the last four years. Probably the best thing to come out of Halifax since John Kettley. This year's Silver Dollar Moments lived up to the promise of their show and ranks as one of 2018's most pleasurable debuts. Another outfit from Bristol whose show on Sunday evening is not to be missed. Their exquisite blend of ambient post-rock and reverb-laden dream pop is the perfect soundtrack to any sun-drenched bank holiday. 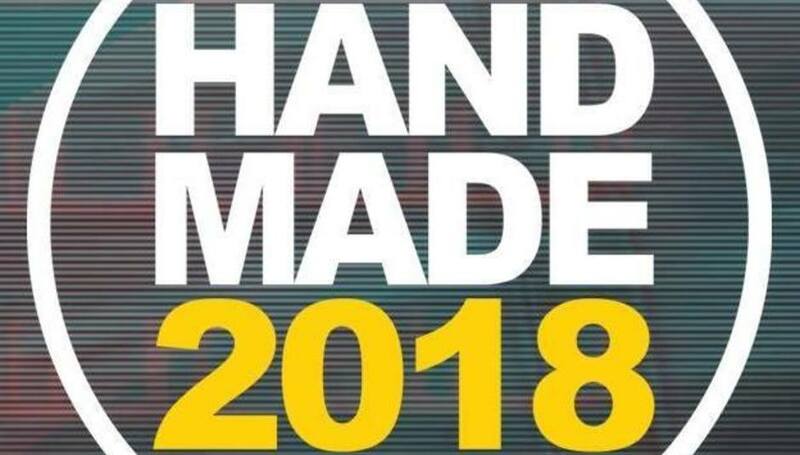 For more information on this year's Handmade Festival, please visit their official website.